Thanks for appreciating my previous post on the same topic. With the launch of the web version, evernote has become even more popular. They have their windows and mac version but still there is no linux version of evernote. In my earlier post, I described how we can use ‘wine’ to install evernote on linux. Now an open source clone of evernote (called Nevernote) is available which could be installed on linux. You can find more information about Nevernote from their homepage. Real Player 11 though as not much popular these days, did strike back big with cool features with its version 11 allowing downloading streaming video. Here is how you can download videos from YouTube. After downloading the file, start to installation by double clicking on the executable file and following the installation steps. 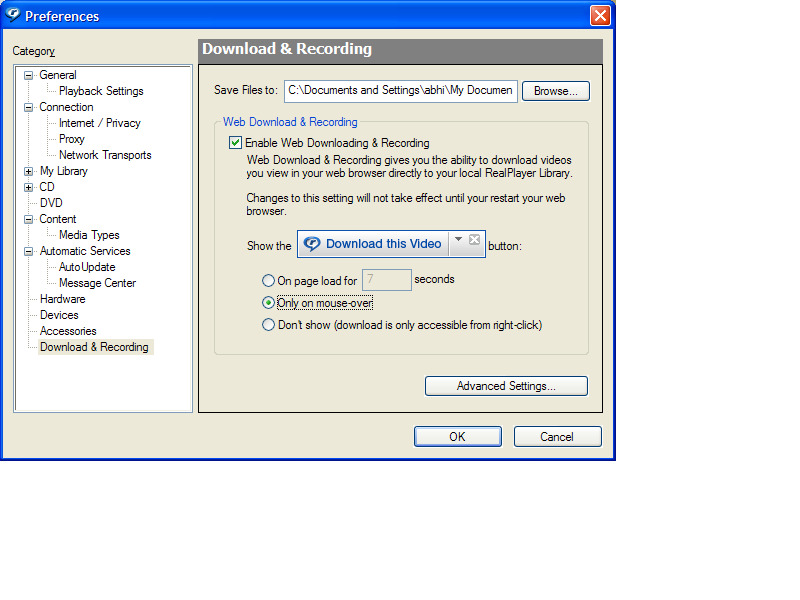 When you come to the installation step (as shown below), make sure to check the check box for “Download & Recording”. Continue with the installation process. Select “Only on mouse-over” radio button. 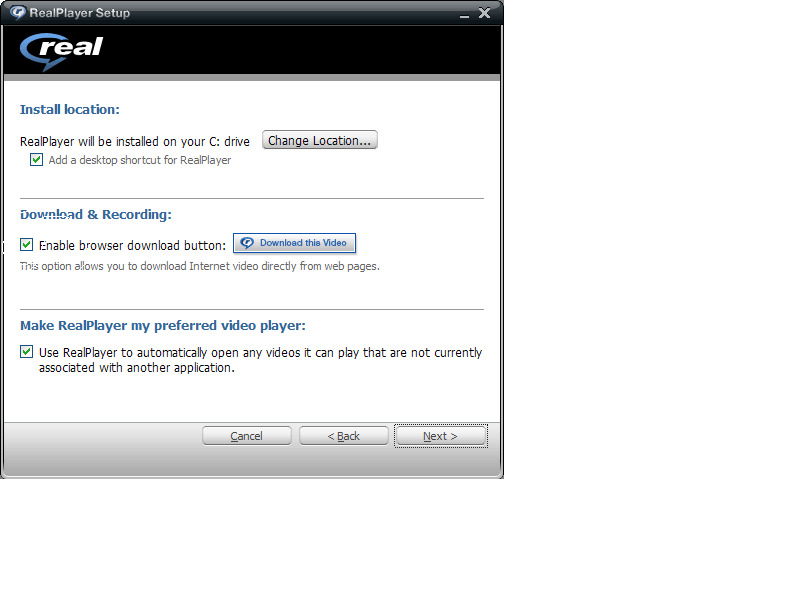 You can also change here the directory path where you want the downloaded video to be saved. Click the “OK” button. Close the internet browser and then again reopen. 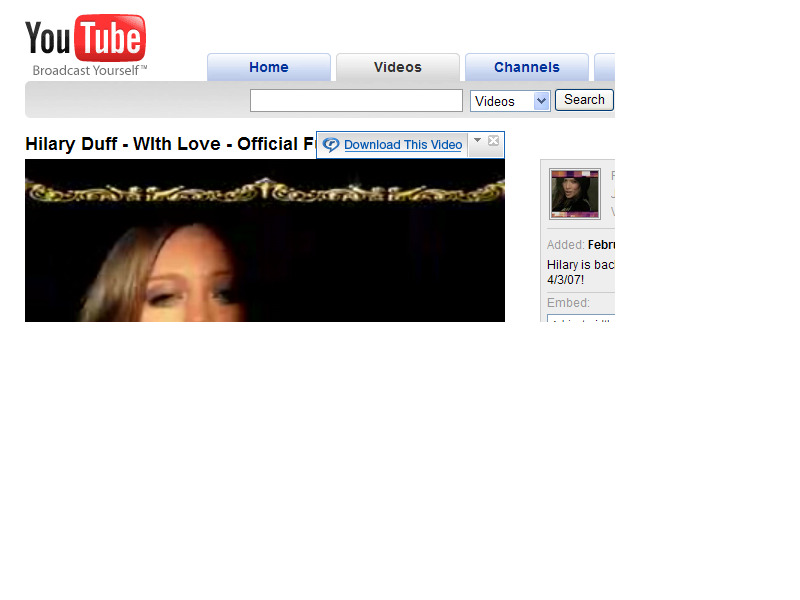 Now to download the video from the YouTube, start to play the video you want to download on YouTube. Point the mouse cursor to the top right corner of the screen and click the download button.